After serving in Pastoral ministry in the local church for twenty-five years, God has called Dan Anderson into full-time compassion ministry. Pastor Dan is currently serving as the Staff Pastor to 175 employees at the Union Rescue Mission in Skid Row in Los Angeles, CA where he also serves as the Director of Strategic Partnerships. Sean McDowell: You're listening to the podcast “Think Biblically: Conversations on Faith & Culture.” I'm your host, Sean McDowell, an author, speaker and apologetics professor at Talbot School of Theology here at Biola University. Scott Rae: And I'm your co-host, Scott Rae, professor of Christian ethics also at Talbot School of Theology. Thanks so much for joining us today. Sean McDowell: We are here today with a good friend of mine, Dan Anderson. Dan, thanks for joining us. You have, what I would consider, a really remarkable story. You had one of the most enviable, pastoral positions probably in the world in terms of pay, where you lived, and you gave it up to work at the Union Rescue Mission, and before you tell your story, I think it'd be interesting for our listeners to hear that the Union Rescue Mission was actually started by Lyman Stewart, who made money in union oil, started Biola and started the Union Rescue Mission. So there's a special connection that's here. Sean McDowell: There you go. That's a good way to look at it. Tell us your story. Dan Anderson: Thanks, Sean, for having me on the show. I was a pastor for 22 years in San Clemente, Calif., prior to being a youth pastor. I was getting very comfortable being comfortable in a really nice neighborhood. The church leadership was very gracious, generous. I was seeing myself riding off into the sunset, planning my bucket list, and I noticed all my bucket list dealt with me, and I became very uncomfortable when I was reading Scripture that I was too comfortable being comfortable. And so it created this concern, like, is this what I'm supposed to do with the rest of my life? So I was getting away one day a month to evaluate that. I spent some time asking God two questions. The first one was, "What could I do in the next 10 years that would make the greatest difference 10,000 years from now?" And it quickly came to me that I'm not living by faith and that he might want me to do something else, and so I had to work through all the different issues, one of them being materialism, thinking this would not be a good career move, especially when I started thinking where I was going to be, maybe, possibly the Union Rescue Mission in Skid Row, Los Angeles. But I had to work through a few things. Then I asked myself, "What would I do if I wasn't afraid if I'd fail?" Because this would be an incredibly different kind of ministry coming from a very high-end, professional community going to Skid Row. So we worked through that. It took me about 18 months to make a decision and ended up at the Union Rescue Mission, and I've been confirmed day after day that this is the right place to be using my gift-set, helping people who need it the most, and I'm just excited to be there. I'm excited to be with you today. Sean McDowell: Dan, you know, along with teaching at Biola, I teach high school part-time, and I had you come in and talk with some of my students 'cause we went and visited you down at the Union Rescue Mission. I'll never forget the story you told, and correct me if I'm wrong, and fill in the details, but you were getting training theologically and come across somebody who was homeless and avoided this person while you're being trained to be a better minister. Tell us about that story. Dan Anderson: Yes, I was going to Chicago Moody, Moody in Chicago at the graduate school, and I'm walking down the street, and I see this fellow who's homeless and I wanted to try to avoid him because it felt awkward, I didn't know what to say to him, and besides, I had to get to school so I could become a better pastor, more compassionate man. So I did this for a couple days, and God began to convict me that I was ignoring a very important person and somebody he wanted me to meet. So I repented, went back, saw this fellow, saw him on the street, and said, "Hey, buddy. I just want to apologize." And he said, "Well, I don't even know who you are." And I go, "That's why I need to apologize. You should. I've been walking by you, waiting till somebody would talk to you so I could sneak by, and bottom line, I feel really bad about it. You're an important person. God loves you. I should love you. And I'd like to make it up to you. How about after you're done selling your homeless newspapers if I take you out for a meal, and you could educate me so I won't feel so awkward, and you can tell me about what it's like to live on the street." So, that became a great relationship. Every time I'd go back, I'd see him. He eventually came to Christ. He introduced me to all of his friends. And this was years before I even started thinking about going to the Union Rescue Mission so God had kind of prepared me. Scott Rae: Dan, how long have you been working with the rescue mission? Dan Anderson: But we volunteered for six years. We just had our sixth “Iron Man” conference where we get together with our church and the Union Rescue men. We used to do our own men's conferences at golf resorts, and we decided, let's do it downtown with the guys at the mission, and it's really radically changed our church. Scott Rae: You've talked a little bit about how you had to overcome some things: materialism, the awkwardness of encountering people who are just in a completely different place than you were. How else would you say that working for the rescue mission has changed you, changed your character, refined who you are? Dan Anderson: Yeah, that's a good question. I'm finding that when you meet people who are different than you, look different than you, have different life experiences, different statuses in life, different incomes, different races, that it enlarges your view of life. The exposure to the men and women at the mission has caused me to have a bigger heart. It's caused me to rethink things politically, even reading the New Testament, the reading of the Bible. 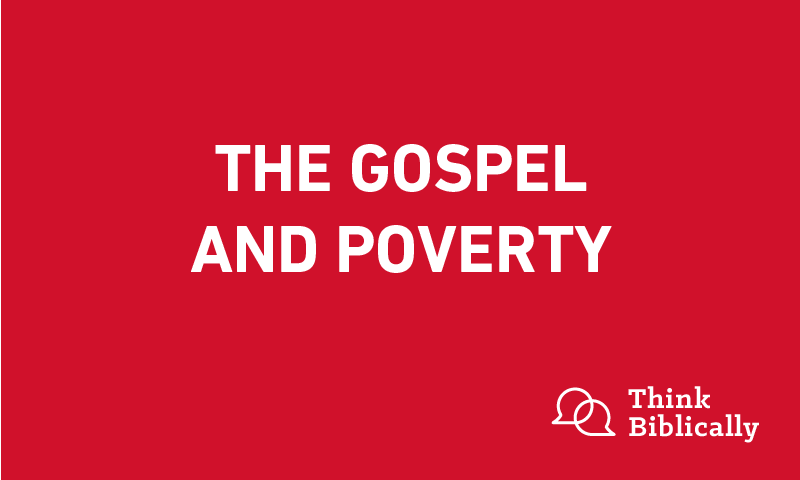 How much God speaks about caring for the poor, how much Jesus' ministry was specifically to the poor, how the Messiah came to preach the good news to the poor, a specific segment of the population and radically adjusted how I see people and ministry itself. Scott Rae: Spell out the biblical basis for this a little bit further. You make the claim that the Bible's full of references to God's heart for the poor and Jesus' heart for the poor. Give us a couple examples of where the Scripture teaches this and how this shaped your thinking. Dan Anderson: So there's a lot of places we can go on that. Let's go there. When Jesus was asked, "What's the greatest command?" He said, "To love the Lord your God with all your heart, soul, mind and strength. Love your neighbor as yourself." When we go back to the Old Testament, this wasn't just a new thing that Jesus had done. I think this is something that was on the heart of God since creation. Since the fall. And what's happened is we're ignoring our responsibility. And so if you go back to Moses and the Ten Commandments, you see the breakdown: the first four, love God; the next six, love people. And then we end up stop reading. But if you keep reading, right at the end of chapter 20, the very next thing it talks about is how to build an altar. How to worship God. How to love God. God cares about how we worship him. Verse one of the next chapter — chapter 21 —when it's gonna now start about talking about how we're judicially gonna run our nation. These are the rights and the wrongs. This is how we're gonna do things. Remarkably, it starts out with how do you treat slaves. This is an incredible approach because normally most societies don't think about the poor. They don't think about the person at the outskirts. But God, when he's gonna tell his people how to run the nation and how to love people, he begins with how to treat those who are on the margins of society. And I think it's a common theme all the way through our Bible. Scott Rae: I think after reading the Scripture in this particular area, I think we can make actually a little stronger claim that if having a tender, soft heart for the poor and working that out in our lives is a non-negotiable component of faithfully following Jesus. Dan Anderson: Right. As a matter of fact, Jesus stated in Matthew 25 that the way we're gonna be able to tell the difference is how did you treat those who were in prison? Did you visit them? Those who are thirsty — when you gave a drink to a thirsty person, you gave it to me. How we treat the poor and the powerless is our worship to God. Sean McDowell: Dan, when we brought our high school students down, it was a game-changing experience for a lot of them, and I could tell you how it changed their attitude, their assumptions, and a lot of it was some of them realized they just had faulty assumptions about poor people and what drives somebody into poverty. Can you talk about what some of those faulty assumptions are? Dan Anderson: Yes, I had them myself so I can speak from experience. Usually we're afraid of the poor. We're afraid of the person who is struggling. We think they're dangerous. We think maybe they're lazy. We might think they have created their mess and they gotta figure it out. And so what I found is that every homeless person is just like every person who's in a different environment. They're all very different. Are there some that are lazy and don't want to work? Yeah. Some that don't want structure, yeah. But you know what I've found in an extremely high percentage of the stories, when you get to know the people who are poor and powerless, people on the edges, people who live in a tent on the street in Skid Row? Something happened in their life that wasn't their fault. And then it got complicated by how they handled it, what their responses were. And you find a lot of time in poverty, poverty breeds broken homes. Broken homes create a situation where mom or dad can't pay attention to the children. Nobody's raising the kids. They're doing the best they can, but they get themselves into trouble. Next thing you know, the only way out of poverty, you've got such bad education, you don't have good schools, the only way out for many of them they see it is crime. Next thing you know, now you've got a prison record. Or you just feel so bad about yourself, you live in shame and so you've got to medicate, so now you start medicating. You think that's gonna help you. Eventually, it owns you and now you've got addictions. You've got prostitution. You've got all these things that people never intended to get into, and many times it's just a poor response to something that happened to them as opposed to maybe in my situation, where I've been privileged to avoid a lot of these kind of things, not from my own choices but just the grace of God. So here I am in a completely different environment, and if we don't interact with people who are poor and powerless, if we don't interact with people who are experiencing homelessness, if we don't hear their stories, we have these misconceptions. Sean McDowell: Well then let's jump to some of these stories. I wrote down four that I will never forget having the chance to hear you share these and then meet three of these people. Let me start with the lady who is in her nineties, or maybe 90? Sean McDowell: Elsie. And you had a really unique birthday party for her. Dan Anderson: So, Elsie was in our rescue unit. It's a day-to-day thing, but she had been there for months and months and months. She was 89 years old, she had worked all of her life, she was working in a hospital, her husband had passed, and eventually she got behind on her rent. For a month she was out on the street, somebody brought her to the rescue mission. She had been living with us for month and month, and I'd go down and visit her, and we'd have conversations and she started telling me, "Hey, Pastor Dan. I'm gonna be having a birthday coming up in August!" I can't remember if it was August 16 or something. And every time I'd come down, "Hey, in two weeks I got a birthday! In a week I got a birthday!" I said, "You know, Elsie, I think we need to have a birthday party for you. How would you feel about that?" She said, "Oh, that'd be awesome!" So I said, "What do you want?" She gave me the instructions. A grape soda ... These are really difficult, right? Although the grape soda was hard to find. Something with strawberry for dessert. So we planned a birthday party. We gave everybody some cupcakes. We gave her her special grape soda and a strawberry shortcake piece of pie, and then we sang “Happy Birthday” to her, prayed for her, and we had all the people in the rescue unit singing with her. At the end, she said, "Pastor, could you come over here?" She started crying, and she said, "Pastor Dan, I've got to tell you something. I'm 90 years old, and this is the very first birthday party I've ever had. My dad gave me away when I was three years old." Sean McDowell: Can you imagine that? Golly. Scott Rae: Who would have had imagined what a blessing that something as simple as a birthday party could be for a person? Sean McDowell: And a grape soda could mean. Dan Anderson: And just stepping into it. I didn't know what a big impact it was gonna make. I just thought it would be a nice thing to do for her. But God knew it was gonna be very, very important to her. She said, "I will never forget you. I will never forget this day." Sean McDowell: And she was 89, living on the street, before coming to the Union Rescue Mission. Dan Anderson: Yeah. It's sad. Sean McDowell: Tell me about Mike, who formerly worked with the mafia. Dan Anderson: Yeah. Mike grew up in a very abusive home. His father was abusive. This is a very common story. Either you don't have a father, or it's an abusive situation or no male leadership for these men. And ended up working with his uncle. They were in Louisiana, in New Orleans, and his uncle happened to be the mob king. So he went to work in his restaurants, he learned how to bribe and to bully, and we had to work on those after he started working with me at the mission. But he was gonna commit suicide after a life of gambling and womanizing and drugs and alcohol. He was gonna jump off the Stratosphere, the tallest building in Las Vegas, on his birthday. And the day before his birthday, he was listening to John Hagee on secular TV and the topic was suicide. He got on his knees, repented, ended up finding out he had cancer, he got to the Union Rescue Mission in L.A., found Christ, and his life was completely transformed as he found hope and a new reason to wake up every day. Sean McDowell: He has such a gentle and yet kind spirit about him. He's a big guy. I wouldn't mess with him. But you can tell his heart has been changed. What about another one that might break some of the assumptions people have about the poor? What about Robert who we had a chance to meet ... who was working in an Ivy League school. Dan Anderson: Yep. Robert has a master's degree at an Ivy League school. He was dean of students at Penn, but he was a functioning alcoholic. He came from, again, a bad background. Anyway, eventually he lost his job and his family and his home and was living in a van, and he kept running the van into street poles and trash cans, and his wife, who had left him, but still loved him, sought him out. She heard the amazing stories from Skid Row that the Union Rescue puts on the radio, called him and said, "I know a place you can go." She brought him there, and he said, "There's no way I am going here." But he did. He submitted to it. He gave his life to Christ. He understood the grace of God for the first time. He realized that "God is not finished with me yet." And he has since graduated; he spent a year as an apprentice, he went out interviewing, we bought him a suit so he could go get an interview. He got a job, I had some friends donate him a car because his job was gonna take him all over L.A. and now, he is a supervisor and making an income again. He came back just this past weekend for “Iron Man” sixth conference at the mission to tell his story and give his update and to encourage the men. Sean McDowell: One more story and then we'll move on. I ask about him 'cause when we were at the Union Rescue Mission he played basketball with my 13-year-old son, and my son still talks about him 'cause the joy that you see in his life and I think you know about Phillip, Felipe. Tell us his story. Dan Anderson: Phillip was abandoned when he was eight years old. His mother didn't want him to begin with, he was in foster homes, his mom wanted him back, eventually he came home from school one day and nobody was there. All of his family had gone. They moved out and left him. He lived on the street from eight years old on. He couldn't go to school, he lived in fear, he said that most influential person in his childhood was the security guard at the Wells Fargo bank because he would let him sleep underneath the door with the light so he'd feel safe and then in the morning he'd bring him a cup of coffee and say, "Phillip, you gotta go now. People are gonna be coming to work." That was the most influential person in his life. Phillip would intentionally get arrested, spent 28 years in jail on purpose. No felonies. These were all an effort to get shelter and food. He's an adult kid, he's a little boy. And Phillip is now at the mission, he graduated, he loves the Lord, he's very excited about it, he shares it. We call him “the Voice” 'cause he's just so excited about the grace of God and how it's changed his life and that he has a family now at the Union Rescue Mission. He's actually one of our 22 residents who has a situation where you couldn't turn him loose. He'd end up back on the street. But Phillip loves the Lord. As a matter of fact, this week, an update on Phillip. He came to me and he said, "My psychologist has been asking me some pretty hard questions." And he said, "I've been crying all week." And we just talked. He says, "I'm starting to ask the real questions because I think sometimes I have covered my pain with my joy and gratitude, which is real, but it's also a cover-up and so I'm asking some really hard questions." Dan Anderson: I've got to tell you one more story that's not on our list that's really critical. You got to understand that working with people who have not started at the starting line, you've got to redefine success. There is an older fellow, he had spent more than half of his adult life in jail, he was a violent guy, he was a drug dealer, and he was coming to the mission. He was gonna leave that day. We had “Iron Man” one, our very first conference. This is one of the key things that caused me to rethink what I was doing and came at it from the other angle and went to work for the mission. But Miguel came forward, got saved, finished the program, few years later we got a call: his daughter had been killed by the baby daddy and then he killed himself. And Miguel asked me and his mentor to come to the funeral. So we went to the funeral. Afterwards, he said, "I have a gift for you, Pastor." He handed me a jacket. I go, "Miguel, you don't need to give me anything, much less your clothes." He goes, "No, no, no. Don't you recognize that jacket?" And I opened it up. He said, "That's a prison jacket. I just want to let you know, I'll never need that again thanks to your involvement in my life." And he said, "Here's the story. When they killed my daughter, when that boy killed my daughter, and then he killed himself, in my old life, the old Miguel would have grabbed my gun, gone over to his parent's house, and shot them both because if my family suffers, yours will suffer. That's how I thought." He said, "I know I'm a Christian now because I have no desire to kill them." And I thought to myself, normally we wouldn't think of "I have no desire to kill someone" as Christian growth, but for his situation, that was a huge statement. Scott Rae: Dan, thanks. Those are some incredibly compelling stories, and I can see where it wouldn't be hard for our listeners to be captured by the power of the gospel and what God's able to do and how the Spirit transforms the lives of men and women who are in a lot of pain. I suspect once people hear some of these stories and they start reading the Bible through maybe a different set of lenses than they've read before, and they start to get the picture about how important this is that we cultivate our heart for the poor and for the marginalized, but I suspect you've had lots of experience with people who have lots of good intentions, but maybe not the most effective ways of helping the poor. What are some well-intentioned, but otherwise ineffective, ways that you would want to discourage our listeners from undertaking? Dan Anderson: Okay, and again, I'm gonna draw from my own experience 'cause when I first started, this was kind of who I was. I had a heart, but I didn't know what to do. I'd give drug addicts money. Dan Anderson: You talk to them, they say the right things, and you ... So, you know, I'd go get them food and we'd give it to them on the street. But those aren't the best ways to handle it. The way I look at it is anything that enables people to stay where they're at, in an unhealthy, in an unsafe environment, is not a good thing. There's a great book called When Helping Hurts; there's another book Toxic Charity. There's a number of good books on this topic that I'd encourage listeners to read if they have a heart to help. And the idea is this. My advice is to partner with organizations, especially Christian organizations who can provide complete healing; not just a job or a home or food but can help them even be pointed to Christ. And where there's accountability because out on the street you might have predators and prey. That's pretty much who lives out there. And you don't know really who you're helping and so we don't want to enable them to continue to live on the street. I had people say, "How about if I give them a 10?" And the thought is, "Well, I don't think that's the best idea either. Police can't protect what they can't see." And so it creates even a more unhealthy and unsafe environment. So any time it's 85 degrees, we'll go out and give them cold water. That's something humanitarian we can do, and it doesn't enable them to stay there. Christmas time, I might give out free socks and a story about Jesus as a cartoon where people enjoy reading it. But generally speaking, I'd encourage people to partner with organizations in their community that are already doing this, and they know what they're doing, they have accountability, and your impact can go much deeper. Scott Rae: So let me take it one more really practical step. When I drive home today, the on-ramp onto the freeway, I'll turn left onto the freeway, and there's always a homeless person at the stoplight there either selling something or just asking for money. What should I do on my way home this afternoon? Dan Anderson: Well, I'd say listen to the Spirit, but I think what he might tell us ... What I'd do is I'd go to Costco, I'd get a big old box of something healthy for them, whether it's raisins or a bar, and I'll always stop by ... I think a lot of times, the guys off the freeway might be working us, and sometimes I worry about that. When I was this young man in ministry, I got worked one time and I told myself, "I'm never gonna get worked again." But then, you know what? You never step out again. I'd rather get worked over and land on the side of compassion. But you know what? I'd give them something to eat that's not going to harm them, and it just shows them we're paying attention. I think most of the problems we have is people feel ignored. There was a young lady on the side of the street in a similar situation. I was walking, and I was getting ready to walk by and thought, "I should talk to her." Kneeled down where she was, getting close to her, said, "Hey, look, I don't have any money. I see your sign, but I was just wondering how you're doing." And so we began to have a dialogue, and when we were done, I said, "Can I pray for you? And if so, how?" And so she told me. So I prayed for her and I was getting ready to leave and she says, "Hey, thank you." I go, "Well, I didn't give you anything." She said, "Oh yeah, you did. You're one of the few people who stopped and talked to me." So I think just treating people as though they’re not invisible goes a long way 'cause I really believe the solution to people's problems who are struggling like this is really not simply a job or a home. It's being loved, like Jesus said. And to show love, whatever that would look like in the moment, just taking the time to recognize these people are important. Sometimes we get so busy, and I do myself, that I can ignore them. So I think the main thing we need to do is treat them like they're human beings and equals and love on them. Scott Rae: That's a great way to uphold their dignity, too, which I suspect is pretty significantly compromised at that point. Dan Anderson: Which is really one of the root issues of their struggle. Sean McDowell: This is great to just hear you give us some practical advice as well. One of the things we did at the Union Rescue Mission was just going down and having meals with people. I remember you telling us and all of our students, we had 35 high school students just sit by folks, ask them if you can hear their stories, listen to them, don't offer simple solutions, and just pray with them and humanize them. And story after story, people would thank me for just listening and praying for them. The kind of things that we just take for granted every day. Dan Anderson: Isn't that amazing? Sean McDowell: Thank you, first off, for your ministry, your willingness to step out in faith, and I think listen to the Spirit in your own life. You have challenged me in many ways to take a deep look inside. We're grateful for your ministry at the Union Rescue Mission, and thank you for coming on. Now tell our listeners really quickly, you have a blog that maybe they could follow along? Dan Anderson: Yes, it’s called Deed And Truth. I started deedandtruth.org, and every Saturday, I'll send out a story about Skid Row, and if you'd like to get that, go ahead and subscribe to deedandtruth.org, and I think the key for people who are just kind of thinking about these kinds of things and if it's kind of speaking to your heart right now, exposure's the way to start. So give me a buzz, and I'd like to give you a tour of the mission, show you what Skid Row looks like inside, and I believe God might speak to you about what your next steps might be. Sean McDowell: And they can get you through the website, deedandtruth.org? Is that the best way? Dan Anderson: Deedandtruth.org. Or call me at the Union Rescue Mission, ask for Pastor Dan, that's what they know me as, and I would be happy to give you, your friends, your family a tour and see what God might wanna do. Dan Anderson: There you go. And James says something very similar, right? True religion: caring for the people like widows and orphans, people who can do nothing for you, is true love. There's no question about your motivation now. Sean McDowell: Dan, we love you, and we appreciate you. Thanks for coming on. Dan Anderson: Thank you for having me. Sean McDowell: This has been an episode of the podcast “Think Biblically: Conversations on Faith & Culture.” To learn more about us and today's guest, Dan Anderson, and to find more episodes, go to www.biola.edu/thinkbiblically. That's biola.edu/thinkbiblically. If you enjoyed today's conversation, give us a rating on your podcast app and share it with a friend. Thanks for listening. And remember, think biblically about everything.